Sign Up to see whats coming next! Starting with the release of the D2880 v1.2 and D1700 in March of 2018 we have committed to five year frames! As new technology comes out we will continue to incorporate it into our new machines, this is currently done on a six month rotation. When upgrades are incorporated into new machines we will offer the upgrades for all machines currently in the field. TLDR: a D1700 or D2880 v1.2 purchased today, with upgrades, remain at the leading edge of tech until 2023! No Longer Buy A Whole New Machine For A New Feature! At MRRF this year we showed everyone what we have been building up to over the last three years. From day one we committed ourselves to sourcing only the best components while maintaining a lean manufacturing process. By doing this we have been able to produce the best product possible while keeping the printers at unbeatable prices! We didnt stop there. At times we found that the we needed a smaller unit to fit in the tighter places, we can only shove so many D2880s on a shelf. With the unbeatable reliably and performance of the D2880 we didn't want to stray too far from that design and so the D1700 was born. With a 305x305x305mm build volume, this printer is no mini.....more like eight minis in one (if you smell what I’m stepping in). 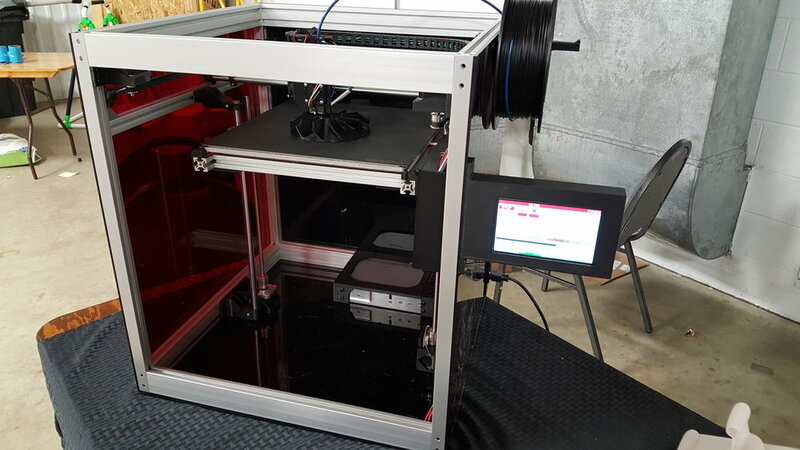 We took the D2880 v1.2 and just shrunk the Z axis, while keeping the price at $1250 (only $1200 right now). You still get all the same features as its big brother just in a smaller package! We respect your privacy and will not share your info!